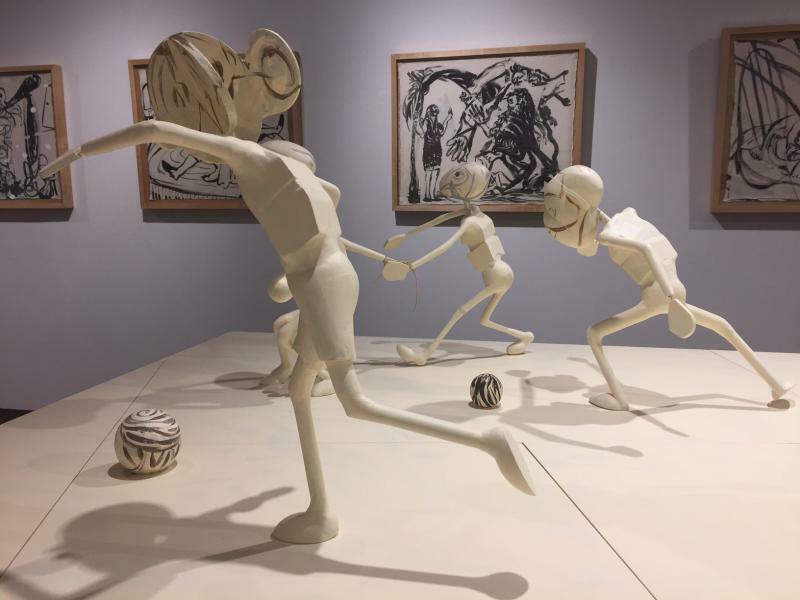 The sculptures of Harold Boyd frolic in his latest exhibition. Boyd was inspired by children at play to create his new works. Boyd wanted to capture the kenetic fun of childhood in his work. Boyd's painted drawings also depict scenes from childhood. Edge's work depicts nature and our fragile environment. Here you can get the scale of Edge's works. Rhea Edge travels the world to find inspiration. 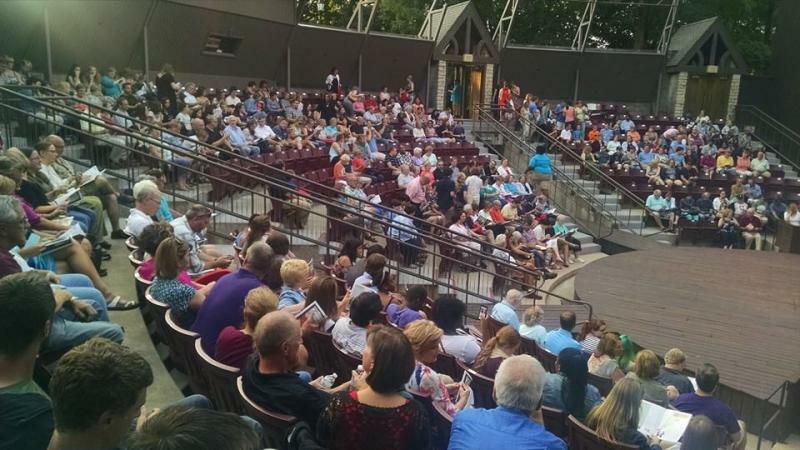 The show continues through Oct. 28. "Childlike" features the work of Harold Boyd, a venerable member of the Bloomington-Normal arts community. In his work, the retired Illinois State University professor of art has always been inspired by the human figure. This new collection of works explores the life and feelings of children, and features sculptures and painted drawings. 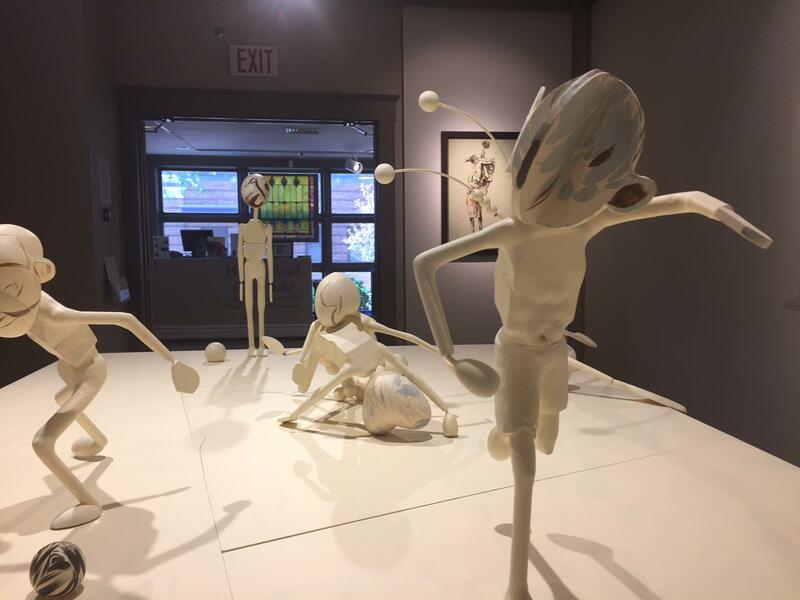 Dominating the gallery space is a sculptural tableau installation depicting children at play. The inspiration for these pieces came from watching kids tumbling about at a daycare at the gym, said Boyd. "They can't stop running and doing, which makes them these little animals of innocence and activity and energy. Well, I saw that so many times over the years that I felt I had to do something to memorialize it," explained Boyd about his inspiration for the sculptures. "What I was looking for here for a child project was energy. There's a lot of kinetic action. There's a directional movement from one side of the table to the other, so there's a rush to get over to one side. They're expending wonderful energy." 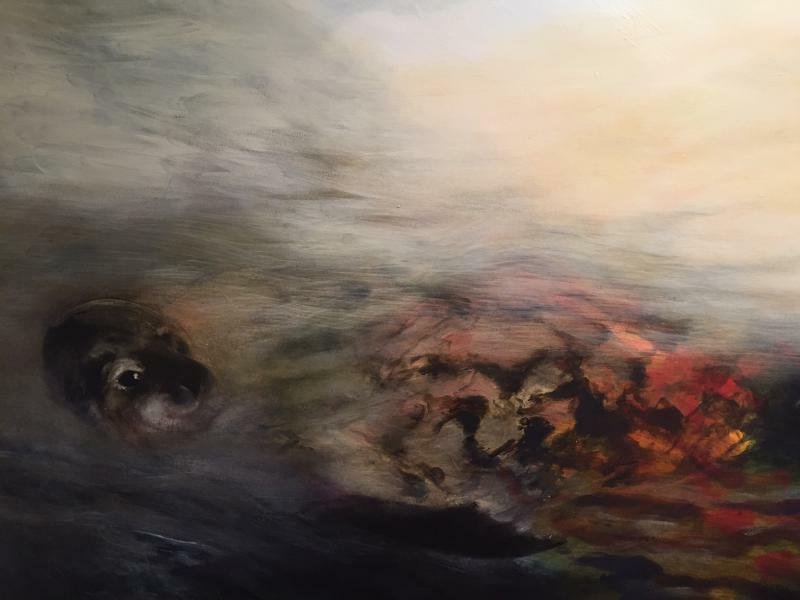 In the gallery next to Boyd's installations, painter Rhea Edge is displaying some of her most recent works, inspired by her travels and her passion for nature and conservation. 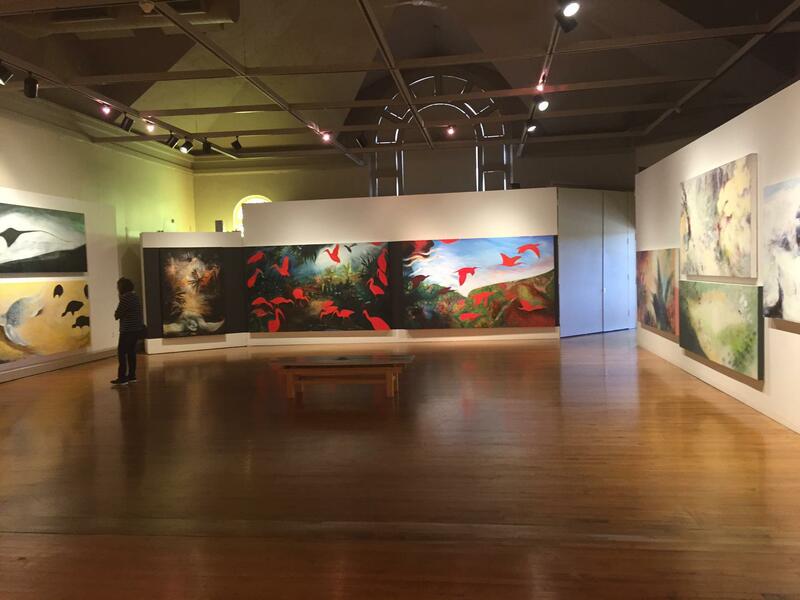 "Memory and Loss" features gigantic paintings depicting endangered birds and mammals. They're up in the Brandt Gallery, a large and airy space that allows the paintings to make a big impact on the viewer. "It's an opportunity to create an environment," said Edge. "With daylight and hanging the paintings low to bring people into the world of the tropics." "The mission of my work is to present the power and the importance and the significance of animals on planet Earth, and our role in protecting an preserving their habitats. It's such a fantastic opportunity to show works on a large scale in this particular gallery, in this community that is so responsive and so aware of social consciousness on some of these issues." "For me personally, it's extremely significant that we start to pay attention to our role in helping in any way we can to preserve and protect the planet." The annual Bed Blitz makes sure kids have a place to sleep by making their beds from scratch. But no bed is truly made until it's covered with something warm and comfy. That's where the quilters come in.